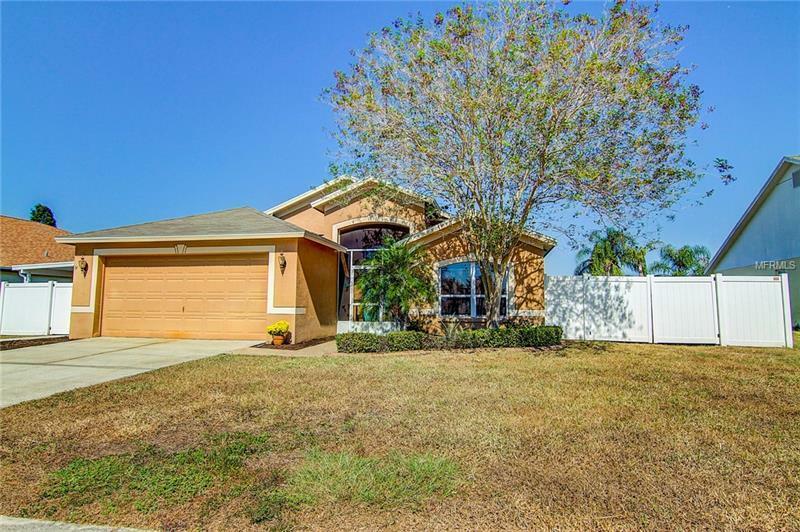 Upgrades galore meet you everywhere in this beautifully cared for three-bedroom, two bath home in the delightful community of Boyette Springs in Riverview. The wide-open concept screams room while keeping the home at a perfect 1700+ square feet. The rich cabinets accent the beautiful granite counter-tops. It features a large pantry which flows beautifully into the open space for the nook, with great windows for amazing natural light and oversize great room. The den is tastefully decorated, large and has beautiful carpet. The master is a great size for all your furniture and flows perfectly into the master bath which features double sinks, shower, and great closet space. The other bedrooms are a great size and all baths have the upgraded counters and cabinets. The lanai is very large and over looks an amazing view of a pond. The entire yard is fenced in and ready for you! !